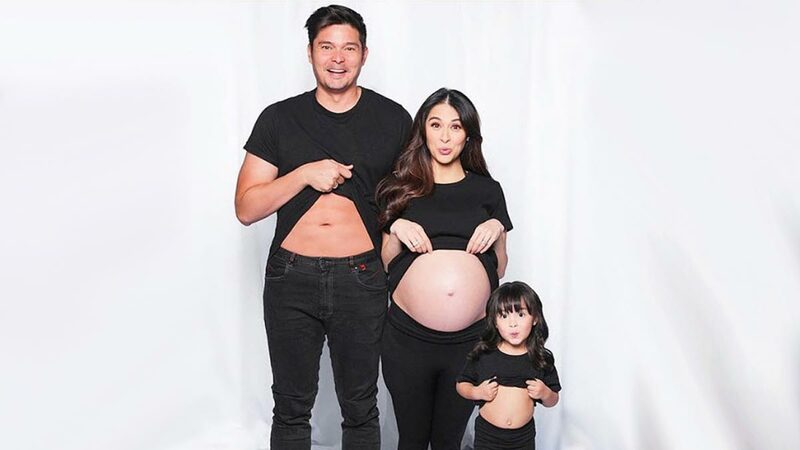 Marian Rivera, Dingdong Dantes, and daughter Zia show off their bellies in a family maternity shoot. Marian Rivera posted our first look at her newest maternity shoot. It was shot by photographer Pat Dy, and featured her husband Dingdong Dantes and daughter Zia. One of the concepts had an edgy and rock-star vibe, with Marian giving a nod to her spouse's love for motorbikes. In another shot, Marian and Dingdong wore leather jackets, with the celebrity mom flaunting her baby bump in bra top and black jeans. In her Instagram post, she captioned, "My dream of becoming a mother and having my own big family is unfolding one by one..."
This was her "last photo shoot" before she gives birth. Marian is pregnant with her second baby, a baby boy. Marian's good friend, events planner Teena Barretto, posted some behind-the-scenes videos from the maternity shoot. Just like most of us, Teena couldn't help but gush about Marian's "perfect belly." Teena asked, "Why does she look photoshopped?!" With a close up shot of Marian's baby bump, she underlined, "Why oh why?"